Should You Repair a Failed Servo or Buy a New One? What is the cost of a new motor? Is it immediately available or is there a lengthly lead-time until it can be delivered and put into service? Even if the repair is more than 50% the cost of buying a new motor, can the machinery be running more quickly than buying new? By taking a few minutes to gather some information on your options, you can determine very clearly which path will best minimize your costs. 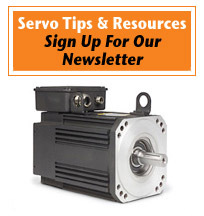 The servo motor repair specialists at TigerTek Industrial Services can help you weigh these options and make the best decision for getting back up and running at the least expense. TigerTek is dedicated to providing expert servo repair services at the highest level of quality possible, with a focus on turnaround time, customer service, extremely competitive prices, and one of the most comprehensive warranties available. We've partnered with hundreds of clients across the US, from Fortune 500 companies to smaller organizations. We look forward to the opportunity to work with you - call us 24 hours a day at 1. or contact us for a free quote.